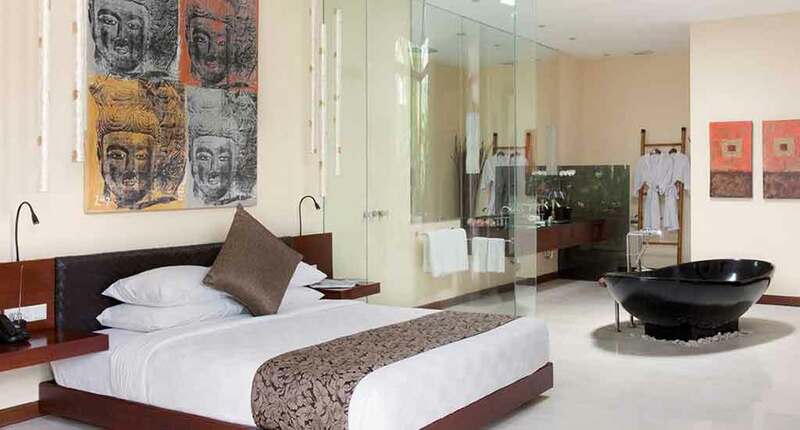 The Elysian Villa Hotel Seminyak five-star resort is a peaceful retreat located in the heart of Seminyak, just a short distance from the world-famous Ku De Ta beach club. 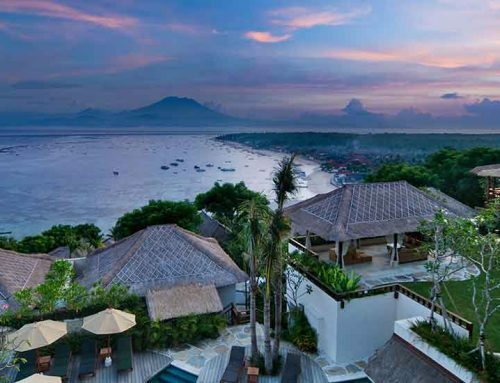 Set amid lush tropical Balinese gardens, you will feel like you are miles away from the hustle and bustle of the town, but you are within walking distance to most of Bali’s most popular beaches, night spots and temples. 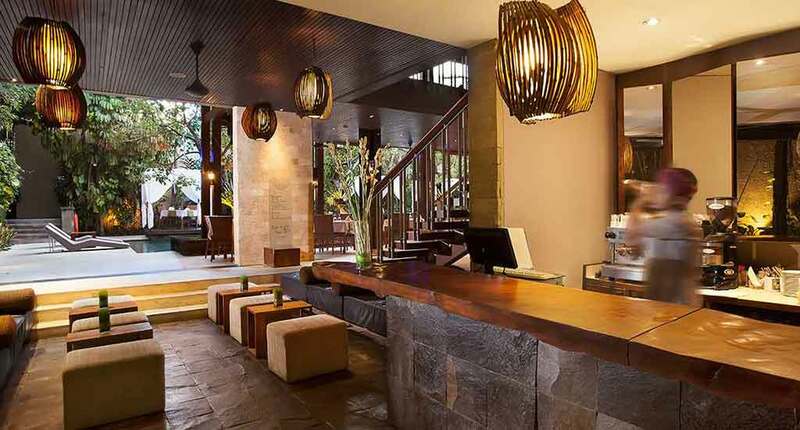 The Elysian Villa Hotel is a luxury boutique hotel that offers a harmonious blend between contemporary luxury and traditional Balinese elements, using local materials such as volcanic stone and raw teak. 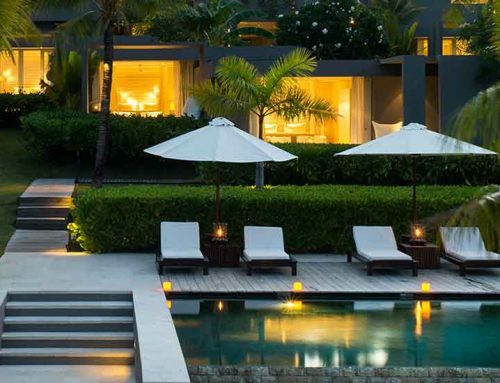 The hotel has 25 stylish One-Bedroom Villas and one luxe Two-Bedroom Villa. 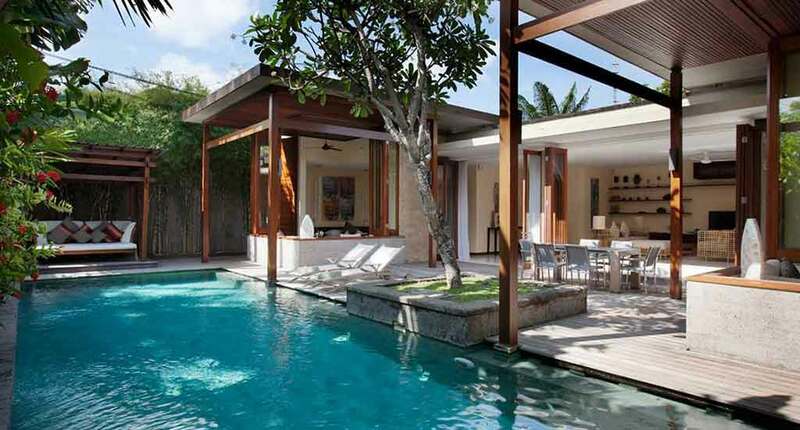 Each villa is composed of a bedroom with a king-sized bed, living area with a small dining table, a sink, having a timber sundeck with a private pool, private garden and sun loungers. The rooms feature upscale amenities such as flat-screen TV, pre-loaded iPod, free Wi-Fi and Bose sound system. The private bathroom comes with a sunken tub with a rainfall showerhead. The high walls and leafy gardens separate each unit, providing a high level of privacy and intimacy. Other features include minibars, electric kettles, safes, and DVD players. 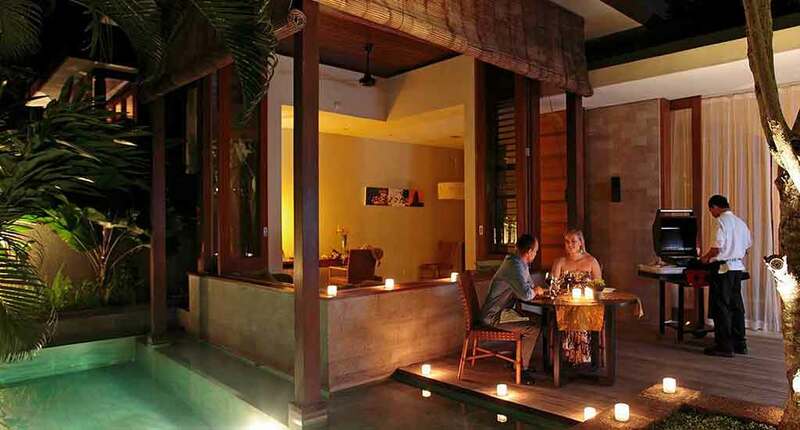 Two-Bedroom Villa is decorated lots of local ornaments and chic furniture in earthy tones. In this unit, each bedroom boasts its own bathroom with a jetted tub, along with an outdoor shower and a glass-enclosed shower cabin in one of the bedrooms. The villa also features a small, basic cooking area in the living room, fitted with a double cooktop, a larger fridge stocked with drinks and snacks, a toaster, a microwave, and a sink. The deck is more spacious than those in One-Bedroom Villas having a dining table for six, double loungers, and a small wooden cabana with comfy pillows. Room service is available. Surrounded by water lies an open pavilion with wooden slat ceilings, stone accents, and large wall openings which welcomes its guests. 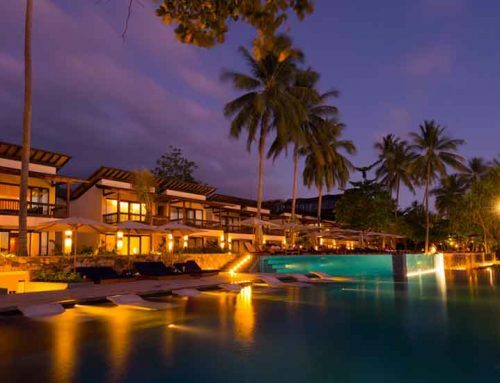 The lobby lounge is set on a wooden deck above the restaurant with a relaxing view of the resort’s 25- metre pool that ends in a trellised waterfall. 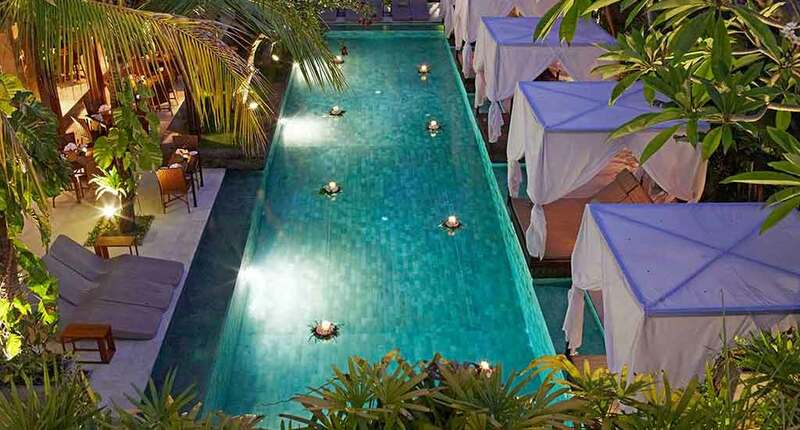 Located by the pool, Rush Bamboo Restaurant and Bar serves dishes from international cuisine, including Italian and Japanese choices. The Elysian Spa has 3 treatment rooms including treatment cabins for couples and outdoor treatment areas. 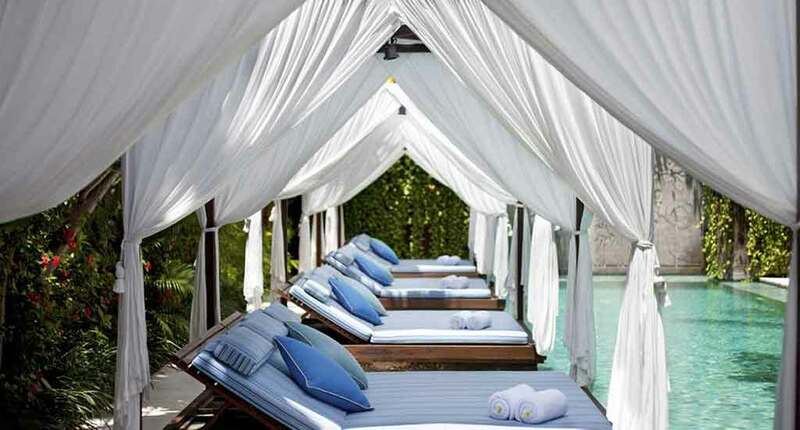 Services include deep-tissue massages, hot stone massages, massages, and facials. A variety of treatment therapies are also available, including aromatherapy and reflexology. 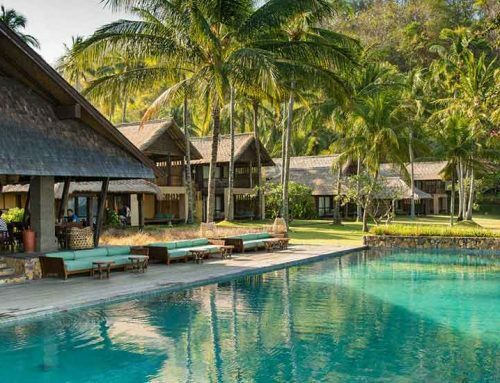 Guests can join a Balinese cooking class, or request a private yoga or meditation session that can be taken in the guest’s villa or on the beach. Hotel bicycles are available for guests that are looking to explore the area and its surrounding attractions. Other facilities include a gym and a library. The Elysian is a luxury boutique hotel that offers a romantic and peaceful oasis, which is a perfect environment for couples looking to relax and reconnect with their significant other. Address: Jl. 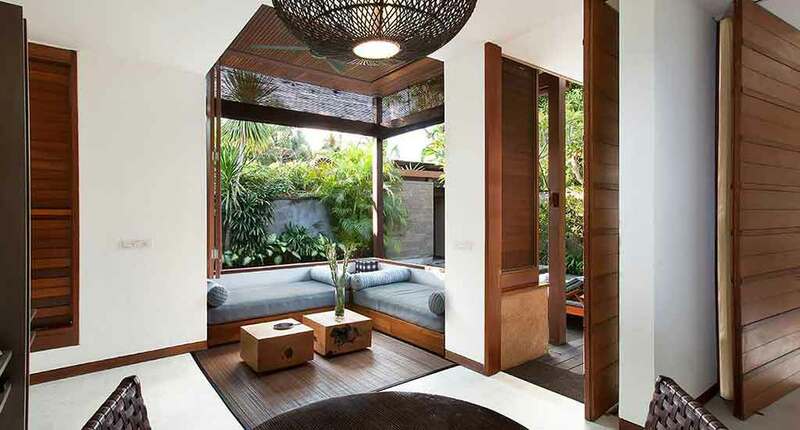 Sari Dewi No.18, Seminyak, Kuta, Kabupaten Badung, Bali 80361, Indonesia.